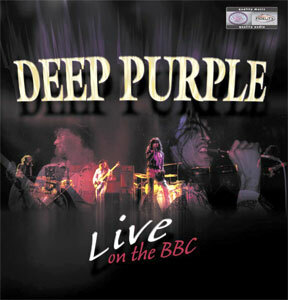 The legendary British rock band DEEP PURPLE made their mark on music history in the late 1960's and early 1970's. Known as a great live band, one of their best performances was recorded by the BBC in front of a live audience in 1972 and has become legendary. First released commercially in 1980, this BBC performance includes virtually all of the (as yet-unreleased) Machine Head album. With amazing sound recording and performances, this DOUBLE-LP set features "HIGHWAY STAR", "SPACE TRUCKIN" and the soon-to-be-famous "SMOKE ON THE WATER" in blistering live versions. Our two-disc set includes over 80 minutes of music and ends with the studio version of their biggest hit "HUSH" in full stereo. Mastered by Steve Hoffman and Kevin Gray from the original stereo master mixes, the power of DEEP PURPLE will be revealed in this fabulous MsMusic LP release.